One of the most popular, best-selling cartridges around, the .22-250 Remington stands out as a preferred hunting and long-distance ammo. The now-well-known .22-250 started its days in the 1930s as a wildcat combination of a .250 Savage case with a .224 bullet. Its humble origin belies the popularity it would continuously maintain between the 1960s and today. The reason for its long-lasting success has a lot to do with its usefulness as a varmint-hunter. But that’s not all that has maintained this cartridge’s popularity. What else makes .22-250 guns and ammo so well-liked, even today? .22-250s are great for small to medium game hunting (and possibly precision deer hunting though some states may have restrictions for this). .22-250s travel so fast that they can cut through windy conditions and still stay accurate, but because .22-250s use the friendly .22 caliber rifle – you don’t have to worry about a lot of kickback! What are the best scopes to use with .22-250s? What is the best varmint scope for .22-250? How do I know which scope to pick? With these questions in mind, let’s get started tackling how to choose a .22-250 scope for your specific needs. The first step is to learn more about riflescopes in general. How much magnification power do I need? The answer to how much magnification you need in a scope is the same as the answer to what type of gun or ammunition you need. It depends on how you plan to use it, experience, and frequency of usage. Are my targets going to be relatively close (5-50 yards) or far off in the distance (upwards of 500 yards)? What kind of budget do I have for my .22-250 scope purchase? Will I be using my .22-250 for varmint hunting, larger game, or target practice? To help answer these questions, check out the following helpful guide on shooting distances. Remember that these are generalized recommendations and that these suggestions are subjective. There can be a lot of overlap between the magnifications you can use at different distances. We now know lots of information about riflescopes and ranges, as well as what makes shooting .22-250s great. It’s time to take a closer look at some of the best .22-250 scopes out there. Which of these four scopes will be the best .22-250 scope for you? The high velocity of .22-250 caliber bullet ensures it can travel far and it can travel fast. The Vortex Optics Crossfire 2 puts this to the test with its 24X zoom, allowing you to quickly pick off targets at more than a 1000 yards off. What Makes This Scope A Must Have? The adjustable objective lens lets you put your image in focus and remove parallax, much like you can do with a DLSR camera. The dead hold BDC reticles ensure you never have to guess the trajectories of your bullets because of holdover and windage corrections. Customized hashmark designs on the reticle guide you every step of the shot. It’s perfect for shooting at various ranges when estimating holdover is a concern. It holds zero perfectly and is excellent with windage and elevation adjustments. Maximum elevation and windage adjustment are 40 MOA in both cases. The second focal plane maintains the same ideally-sized appearance of your targets. The fast focus eyepiece allows for quick and easy reticle focusing. Add to that, the anti-reflective, multicoated lenses which ensure crystal clear picture quality with perfect contrast at all hours of the day. It’s also fog proof and waterproof because the lenses are nitrogen purged and O-ring sealed. With this scope, spotting your prey is going to be like taking a walk in the park. For the price, this is hands down, the best scope you can get for your .22-250 caliber rifle, as testified by multiple customer testimonials. For medium to long range shooting, we would highly recommend this scope to everyone. 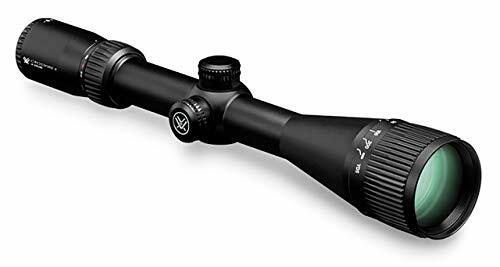 Another riflescope made especially for medium to long range shooting pairs up perfectly with the .22-250 Remington and its small game hunting prowess. What Makes This Scope So Great? The best feature of this rifle is the First Focal Plane (FFP) Reticle, which makes a world of difference while shooting. The illuminated reticle not only lets you see in the dark, but it also shrinks and grows as you zoom in and out in your scope. This particular feature is sure to make your job a lot easier. The second best feature adjustment is that you can adjust the parallax up to infinity. Rest assured, you won’t face any parallax related error. The reticle holds zero perfectly, and the windage and elevation adjustment is absolutely dead on. Add to that the sleek and sophisticated design with a matte finish which makes it look like something straight out of a movie. It’s not just aesthetics though, this scope made out of aircraft-grade aluminum is immensely sturdy and will hold it’s great regardless of the amount of punishment you throw at it. The multicoated lenses make no compromises when it comes to picture quality offering you a crisp and clear picture with optimum brightness and true color across the entire light spectrum. Argon purged lenses guarantee thermal stability and water resistance. Just like the last scope on our list, this one gives you immense value for money while not compromising on quality. The first focal plane reticle really takes the cake and makes it far superior to all other riflescopes at this price range. One of the best long range optics out there. Next up on our list comes this offering from Leupold. If you want to buy American, it can’t get any more American than Leupold. What Makes This Product A Great Choice? The 3:1 zoom ratio models are the most popular ones among Leupold scopes and it’s easy to see why. The scope stays light and it still gives you the versatility you need to adapt to different, unexpected hunting scenarios. The zoom ratio lets you switch between a bigger, wider field of view and a more detailed, intricate view with one flick of the power selector. If you’re going to make a distant shot, you can compensate for wind and bullet drop with the highly intuitive finger clicks. The reticle holds zero perfectly up to 200 yards and it has additional aiming points up to 500 or 600 yards. The centralized circle is great for getting moving targets in your scope. The multicoated optical surfaces allow for authentic light transmission, even in very low light conditions. The glare is minimum and the contrast is high, giving you a high-definition, crystal clear picture. There’s no compromises when it comes to optical performance. Then there’s the durability. Aircraft-grade aluminum ensures the scope can handle whatever you throw at it. O-ring seals and nitrogen purges ensure that it is highly resistant to water, fog, and thermal shock. Leupold is a household name and this model lives up to everything we’ve come to expect from them. The mounting is simple and fast, the accuracy is dead on and all in all, this rifle is well worth the slightly higher price tag. A good rifle for beginners to learn and grow into, and it also provides a good platform for experienced hunters to hunt with. Would be an excellent M&P 15-22 scope. One of the best long-range shooting scopes out there, the Nikon Black X1000 offers precision, ruggedness and a whole host of other features, which are sure to be a very effective addition to your hunting arsenal. What Makes This Scope The Best? Made especially for long range shooting, the glass etched reticle is placed in the second focal plane. So all holdover corrections, ranging and other measurements should be done at high magnification. The X-MOA reticle is clean and uncomplicated and makes acquiring targets a breeze. Even in all its simplicity, it has highly advanced tools for making accurate estimates of range, holdovers, and wind compensation. The reticle along with the 24X zoom is sure to make your life a whole lot easier. The red-colored reticle can be illuminated to 10 different degrees of varying intensity and brightness and can even be turned off by the OFF switch. The scope offers 60 total MOA internal adjustment travel. The turrets have 1/4 MOA click graduations yielding 12 MOA (48 clicks) per revolution. WIndage and bullet drop rectifications remain on-point throughout the entire range. The lenses as per the standard, are fully multicoated along with anti-reflection for images which are consistently bright, clear with vivid contrast. A side focus turret-mounted parallax arrangement lets you fine-tune the image without changing your position. 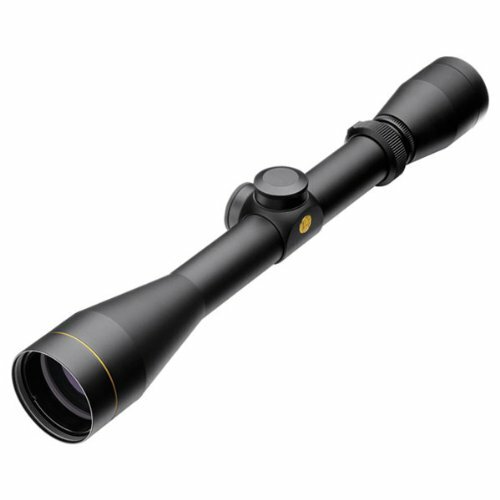 Aircraft grade aluminum, nitrogen purges, and O-ring seals make this scope rugged, waterproof and shock resistant. Rest assured, this scope will last you a good number of years. This product is an absolute beast. 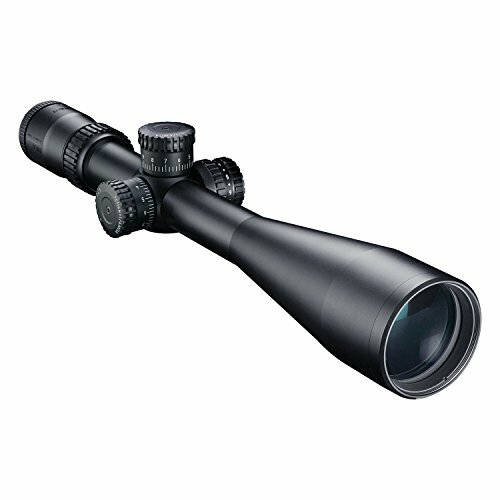 Capable of shooting way out to over 1500 yards, this scope is sure to become your rifle’s new best friend. 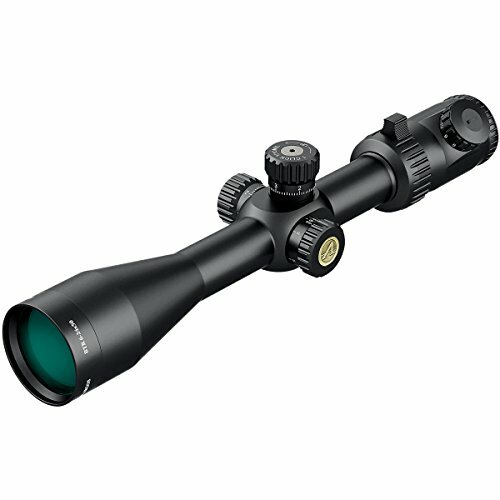 From looks to functionality to sheer coolness, this scope scores top marks in every aspect. Why wait when the perfect scope is out there? Finally: you’re fully armed with knowledge about .22-250s and the scopes to help them shine. Those varmints and targets aren’t going to shoot themselves. And they’re certainly not going to at distances of several football fields away. You know which scopes are good (and affordable) out there. Don’t keep yourself from enjoying your .22-250 and showing off all its best qualities!